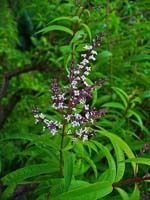 Used as an astringent and binder for diarrhea and any type bleeding. Helps stop bleeding. Wound healer. Above ground parts are used for vomiting, bruises, cuts, ruptures, and wounds. Used for excessive menstruation and leucorrhea. Also considered antispasmodic. Sedative. Key Uses: Wound healer. Excessive menstruation. LavenderFragrance. Used for stress and headaches. Helpful for moodiness, restlessness. Relaxation. Traditionally used for pain relief, neuralgia, sore joints and muscles. Coughs. Helpful for intestinal gas, bloating. Lavender oil is used in aromatherapy. Useful topically for acne, hair loss, and pain. Key Uses: relaxation, headaches, pain. Lemon BalmCalming, tonic herb that promotes heart health. Useful cold sore remedy. Traditionally used for wounds, to relieve palpitations, and relaxing the heart. Also useful for toothaches. Helpful for anxiety, mild depression, restlessness, and irritability. Reduces nervousness and panic, indigestion, stomach acidity, and nausea. Remedy for cuts, insect stings, and fevers. Properties: Sedative, antispasmodic, carminative, mild choleretic, antibacterial, antiviral, and astringent. Key Uses: Insomnia, minor headaches, nervousness, anxiety, arrythmias, dyspepsia, dysmenorrhea, colds, and fevers. 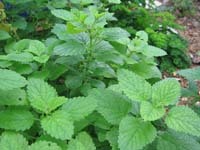 Lemon VerbenaCalming, bitter herb, useful for prompting sweating to break fevers, colds, and flu. Also good for digestive complaints, has a sedative effect. Properties: antispasmodic, antimicrobial, expectorant, aromatic, sedative. Key Uses: fevers, digestive complaints, headaches, insomnia, mild cases of anxiety, cleanser for cuts and scrapes. LicoriceContains phytoestrogens. Stimulates adrenal glands. Purges excess fluid from lungs. Mild laxative. Supports endocrine system. Used to treat ulcer. Shown to have anti-viral, anti-tumor, anti-inflammatory properties. Used to treat hypoglycemia. Important herb when recovering from illness. 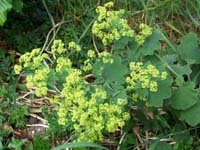 Shown to be useful in the treatment of stomach cancer. Helps remove fluid from the lungs. Helps remove old matter from the small intestines. Increases T cell counts. Being investigated for treatment of HIV. Used to treat Addisons disease, cough, colds, ulcers, drug withdrawal, female complaints, hypoglycemia, and to increase energy. Key Uses: viral infections, inflammation, menstrual and menopausal disorders, peptic ulcers, canker sores. Topical applications: herpes, eczema, psoriasis. Do not use if you have high blood pressure or retain water easily. Do not use large doses for long periods of time. Licorice can increase blood pressure. Lobelia removes obstructions. Relaxant. Removes congestion. Relieves bronchial spasms. Used as a respiratory stimulant, anti-asthmatic, anti-spasmodic, expectorant, emetic. Lobelia stimulates the vomiting center at the base of the brain. Expels secretions from the lungs and bronchioli. Stimulates the adrenal gland to release hormones that cause the bronchial muscles to relax. Considered one of the most valuable herbs in the plant kingdom. Useful to help stop smoking. Useful immediately during an asthma attack. Used for arthritis, colds, congestion, bronchitis, asthma, convulsions, cough, ear infections, epilepsy, food poisoning, lung problems, nervousness, pain, pneumonia, worms. Key Uses: smoking deterrent, asthma, bronchitis, pneumonia. CAUTION: toxic in large amounts. Usually results in vomiting, lessening fatal outcome. Lobelia poisoning: nausea, salivation, diarrhea, visual disturbances, blood pressure fall, collapse, convulsions. Death may result from respiratory failure. Antidote is two milligrams of atropine, given subcutaneously.